I don’t know about you, but I have made many mistakes in almost every area of my life. Every “i” has not been dotted, nor every “t” crossed. If I would begin to go down the list and check off all the goof-ups, blunders, and short-comings it would tell a story most don’t get to see on the outside; a story of blemishes on my record marred with many imperfections. Failure and mistakes are some of those things that are hard to overcome for some. Mess-ups have a way of smearing defeat in one’s face making them feel that there will never be a space for recovery and restoration. But, God is a God of restoration. In the above verses, we see a pattern to deal with defeat: 1) Pray and confess the wrong or mistake; 2) Let God restore. Now listen, even if what one has “failed” at does not necessarily qualify as sin, such as one may wish they had spoken better to someone else or, in hindsight one realizes they could have put more effort on a project, or it was just an honest mistake of accidentally overlooking something or someone – whatever the cause innocent or not, I believe the same model that King Solomon laid out can be applied to just about every situation. Taking things to God in prayer allows Him to work on your case and opens up the doors of grace to be released in one’s life. Which leads to the second point: let God restore and work on your case. Solomon’s prayer said, “Bring them again unto the land,” which speaks of the opportunity to set things straight and start over; another chance to experience recovery of the Lord’s healing over the situation. If the cause of failure is due to sin, confess it and get rid of it (seek spiritual counsel from a pastor or leader for help). If one has made a mistake that’s keeping you bound in doubt, pray for His deliverance even in this. 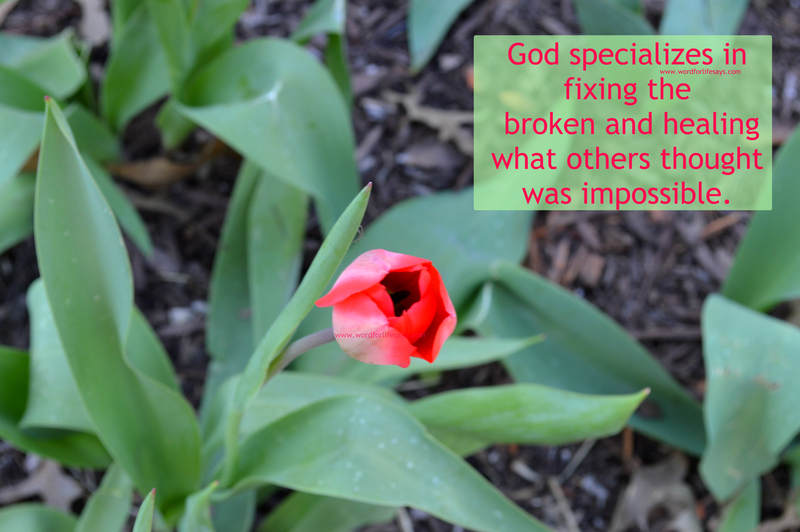 God is standing at the ready to repair the brokenness and bring healing to the land. “Rejoice not against me, O mine enemy: when I fall, I shall arise; when I sit in darkness, the LORD shall be a light unto me,” (Micah 7:8). For God sent not his Son into the world to condemn the world; but that the world through him might be saved,” (John 3:16-17).